Conley, Richard S. and Dahan, Charles 2013. 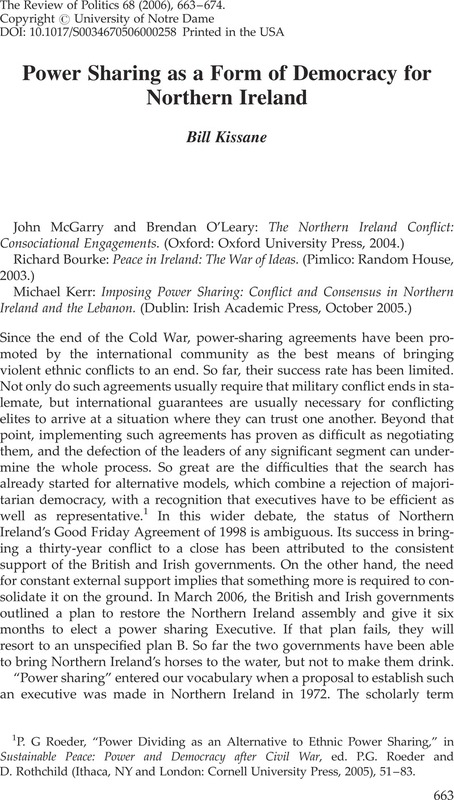 Legislative Behaviour in the Northern Ireland Assembly, 2007–11: Conflict and Consensus in a Developing Consociational Democracy. Political Studies, Vol. 61, Issue. 1_suppl, p. 179.